I went to have a look at the Art is rubbish/rubbish is art exhibition by Ernest Zacharevic yesterday. 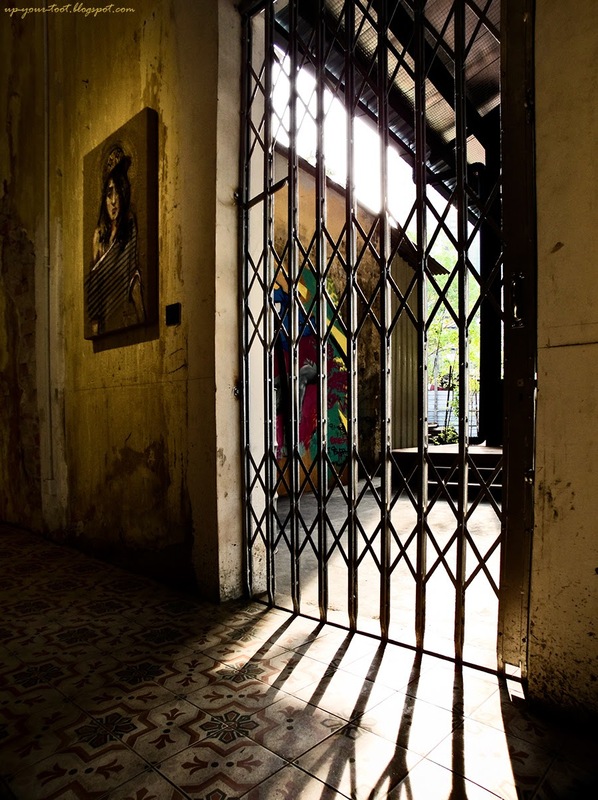 His solo exhibition in Penang is at the old Hin Bus Depot at Brick Klin Road (Jalan Gudwara), and currently running until 14 Feb 2014. Opening hours for the exhibition is from 12noon to 8pm. One of the painted walls on the exhibition site. This piece is titled Michael Jackson, ie the drink made from mixing grass jelly and soy milk. 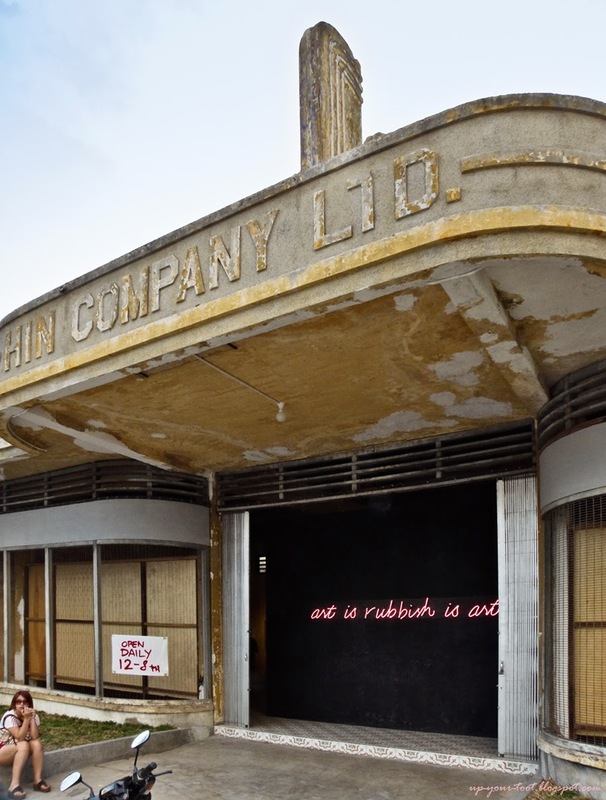 Art is rubbish neon sign as viewed from the outside. Very apt for the Year of the Horse. The famous Lego robber and woman are one of the exhibited items, but alas, the bag and the knife has been 'vandalised'. 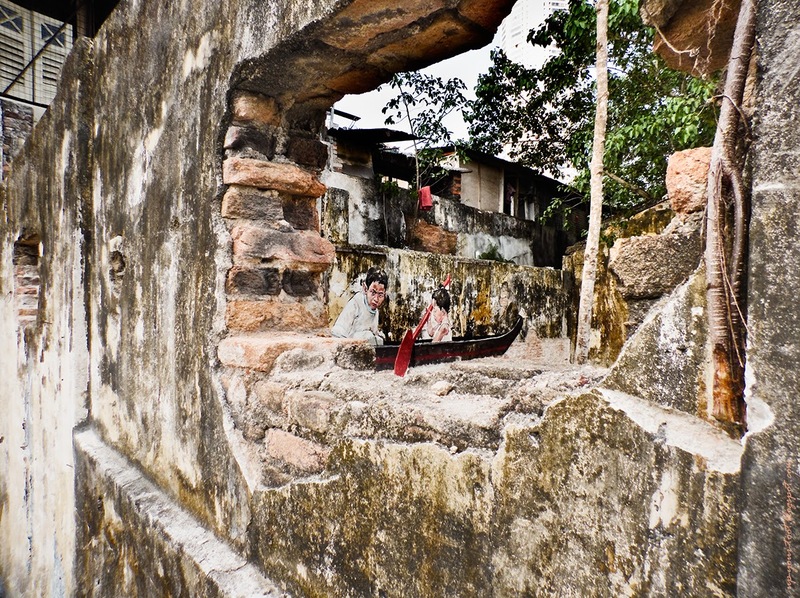 Besides that, there are various sculptures made from rubbish, as well as other pieces on various media plus paintings on the dilapidated walls in the building. Hey, I want your money, not your baby! 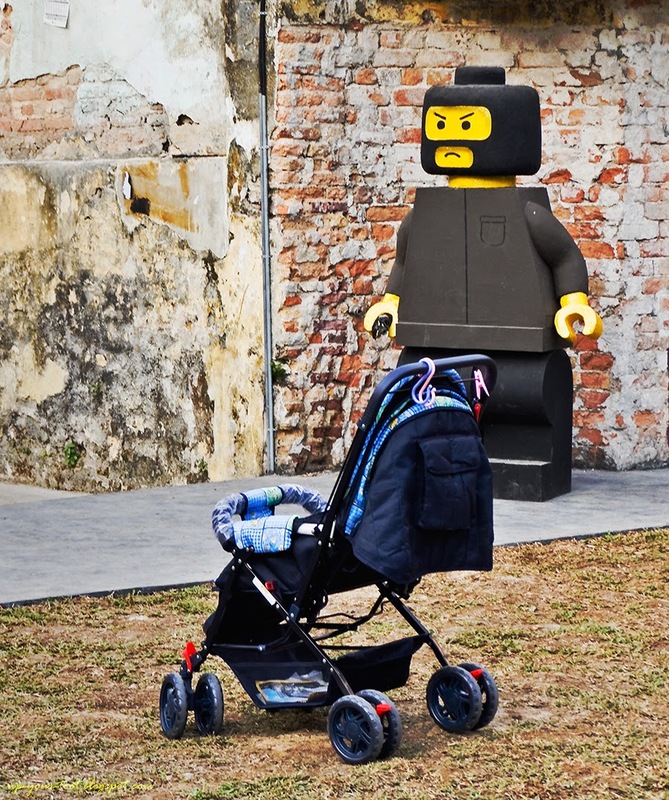 The Lego robber with a pram left by parents who were busy taking photos. 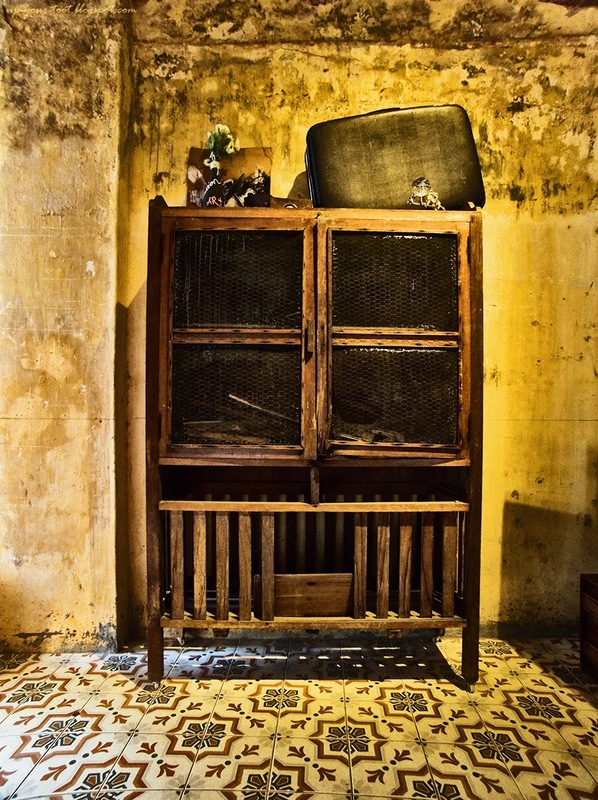 A meat-safe cabinet and various other 'junk' crafted into an art piece. 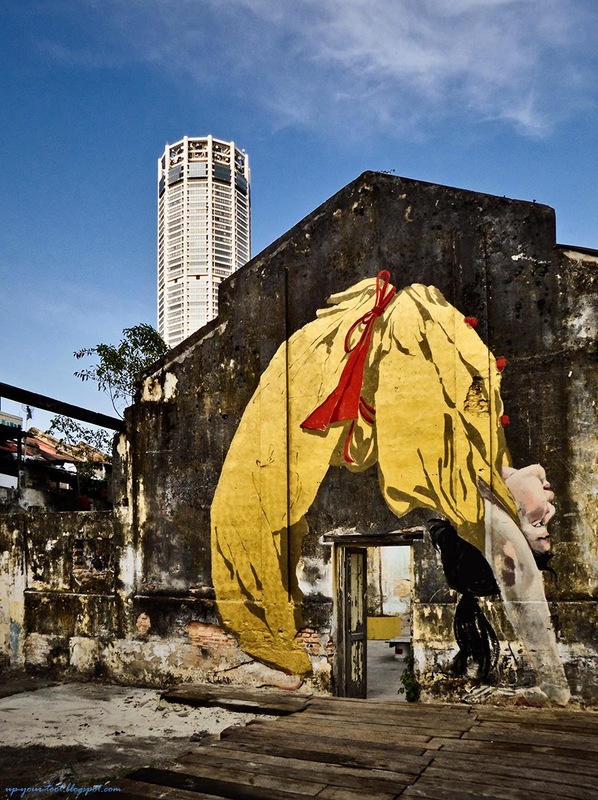 More of Ernest Zacharevic's artwork on the walls of the dilapidated building. 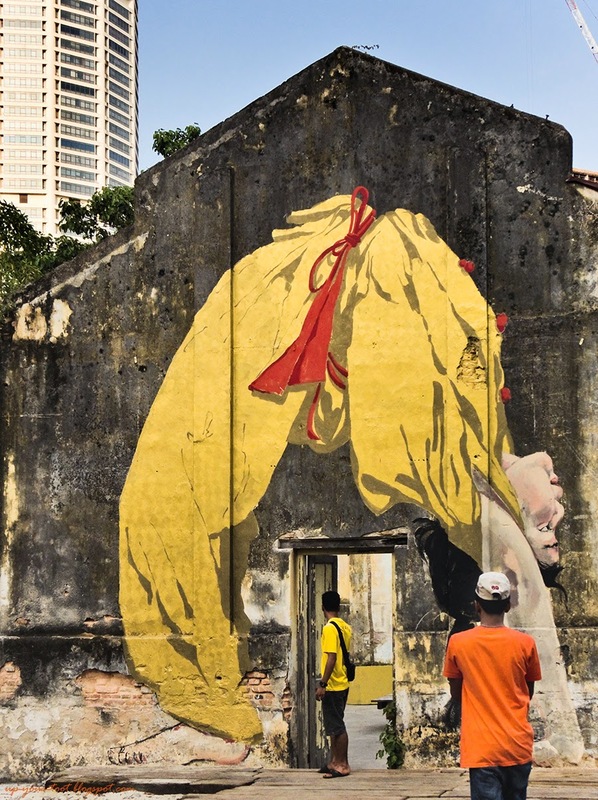 With the backdrop of KOMTAR and the surrounding buildings, the exhibition site is good for a leisurely stroll in the evening whilst appreciating the creative works of Ernest Zacharevic. 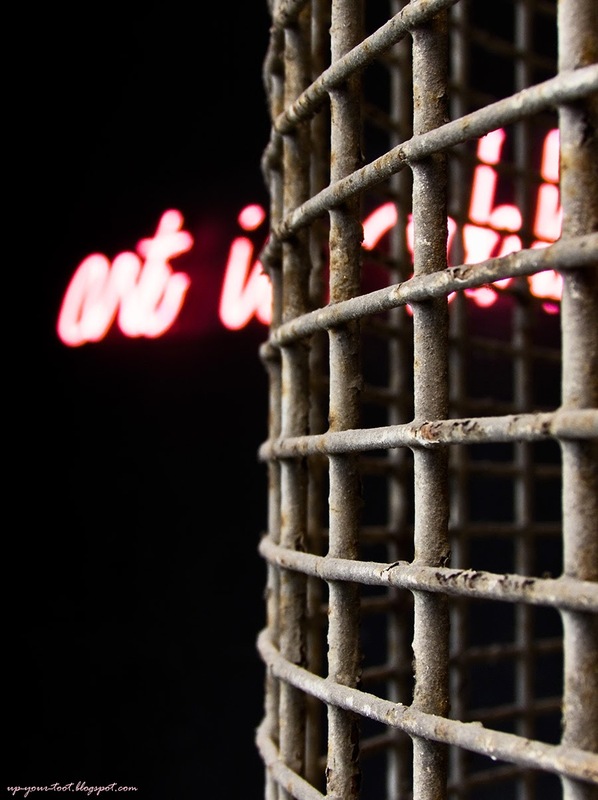 Besides the pieces indoors, the scattered exhibit outdoors allows you to stroll casually on the grounds and 'stumbling' into his work or art behind walls or tucked in a shady corner. 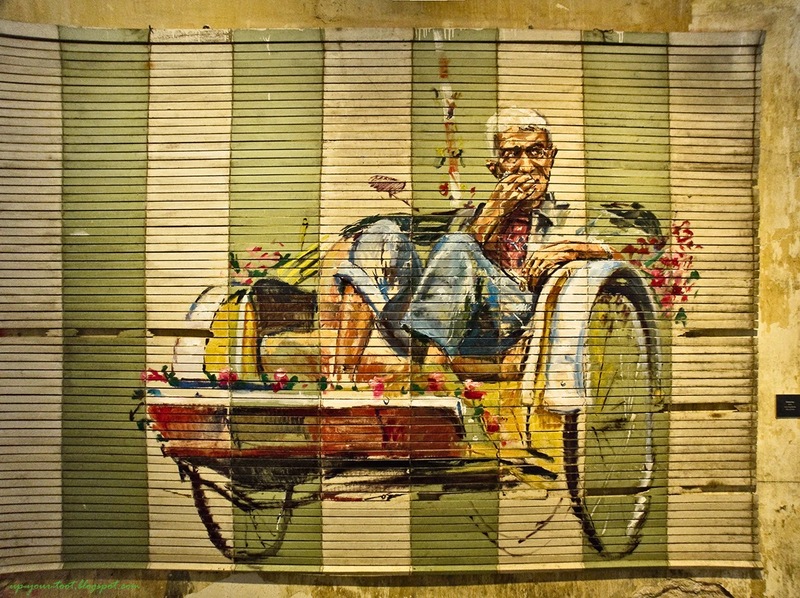 Wooden blinds as a canvas for a trishaw and the peddler. 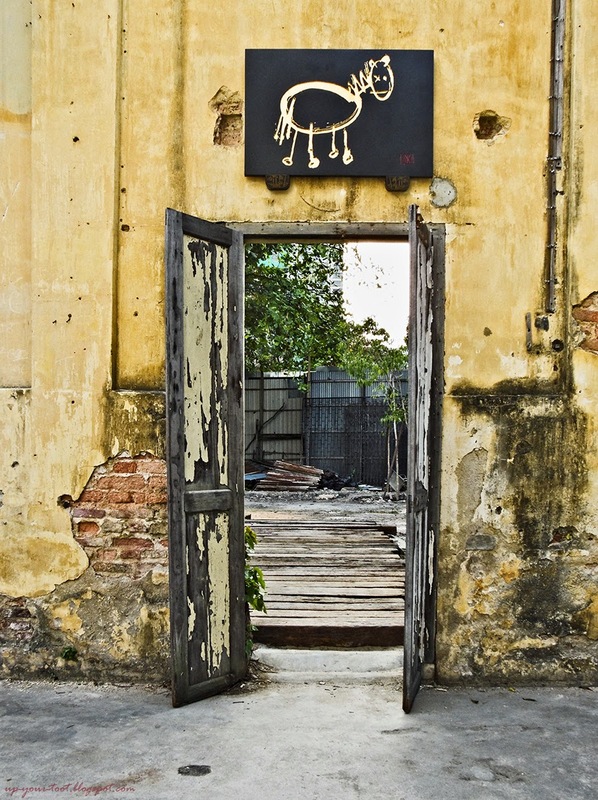 Other than the exhibited artworks, do take a look at the building or rather the remnants of the building that used to be the Hin Bus Co. depot. This building has an Art Deco/Streamline Moderne facade plus interesting tiles on the floor. The Art Deco/Streamline Moderne facade of the Hin Bus Co Ltd. 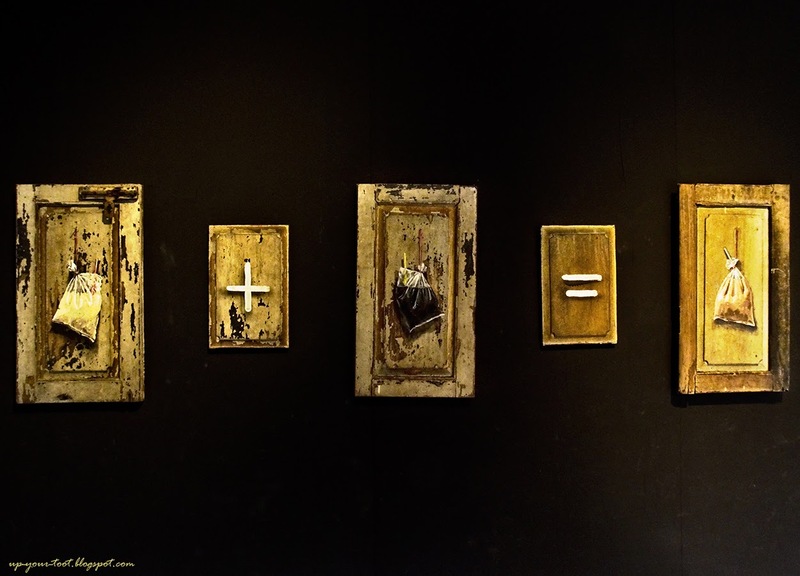 The quaint and lovely interior of the former Hin Bus Co. depot adds another 'artsy' dimension to his exhibit. Old Hin Bus Depot, Jalan Gudwara. Diagonally opposite Hotel Grand Continental, between Jalan Timah and Jalan Trang. This place is very near the GAMA shopping centre and is behind Penang Times Square. Oh bestnya very artistic and creative. Our Ilhan will definitely enjoy this. Kalau sempat ke Penang sebelum 14th Feb, bolehler pergi lawat. His works are interesting, and I feel he has created a niche (and a popular one) for his quirky art. Like how he used the natural surroundings . Wow..l started like him when i know that he was the who painted the kids and the bicycle..such a great artist..thumbs up!! !